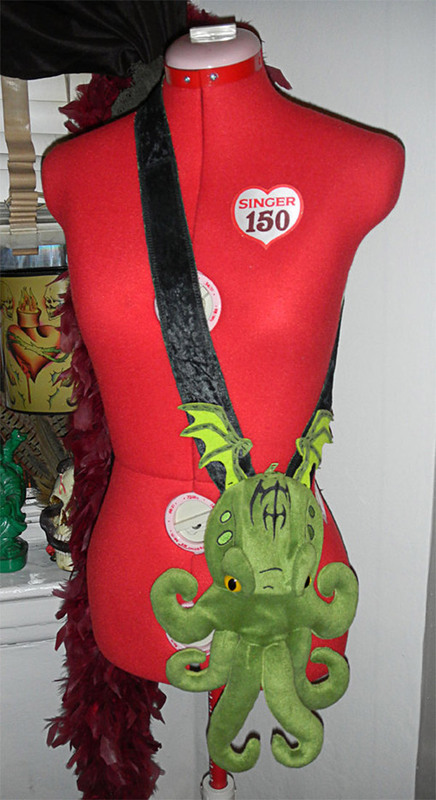 I’ve seen lots of Cthulhu-inspired merch over the years, but I can say with 100% certainty that this is the first Cthulhu evening bag that I’ve come across. The winged, tentacled demon beast with beady yellow eyes is the perfect fashion accessory for an evening out with friends. 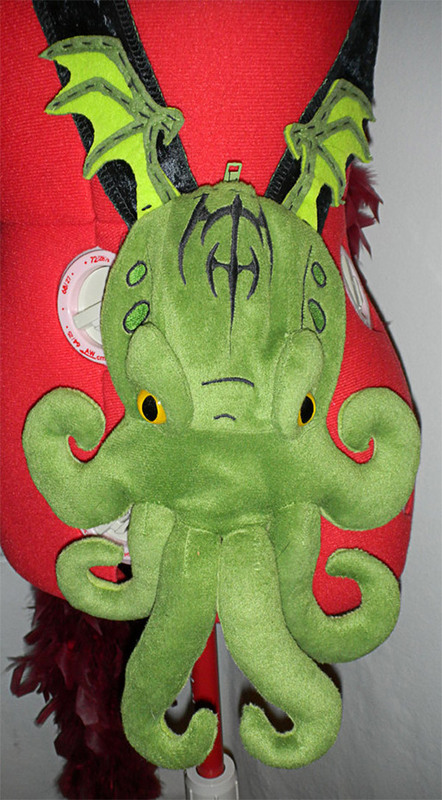 It’s funny that its creator, Razorblade Cupcake refers to the plush evening bag as “adorable.” That’s the first time I’ve heard that word used to describe Cthulhu. So if you’re looking for an accessory to go with your evening wear that you’re sure nobody else will be carrying, head on over to Etsy and grab the Cthulhu evening bag now for $50(USD).